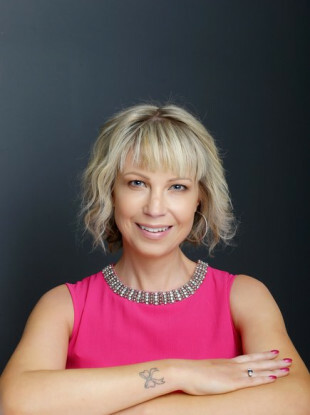 PRESIDENT MICHAEL D Higgins has paid tribute to author Emma Hannigan who passed away from cancer at the age of 45. Hannigan had revealed less than two weeks ago that her 11-year battle with the disease had become terminal. “My medical team have thrown everything but the kitchen sink at this fight but all avenues have now been exhausted,” Hannigan wrote in a blog post announcing the news. In a statement, the president described Hannigan as a “campaigner to the end”. He said: “It is with great sadness that I have learned of the death of Emma Hannigan – a campaigner to the end. “Emma Hannigan leaves a lasting legacy not only through her work as a much appreciated author, but also through her exemplary courage in dealing with terminal illness. “She will be remembered as a powerful advocate for Breast Cancer Ireland, a great cause worthy of all of our support. Following the revelation that she had only a few weeks to live, several of her writer colleagues joined forces in a bid to push her latest novel, Letters to my Daughters (published on 9 February), to the top spot on the bestseller list. On the back of that social media movement, Dubray Books announced that it would donate all profits from Letters to my Daughters to Breast Cancer Ireland, of which Hannigan was an ambassador. Hannigan was first diagnosed with the disease, one she went on to battle a harrowing 10 times, in 2007. Email “'A campaigner to the end': Michael D Higgins pays tribute to author Emma Hannigan”. Feedback on “'A campaigner to the end': Michael D Higgins pays tribute to author Emma Hannigan”.